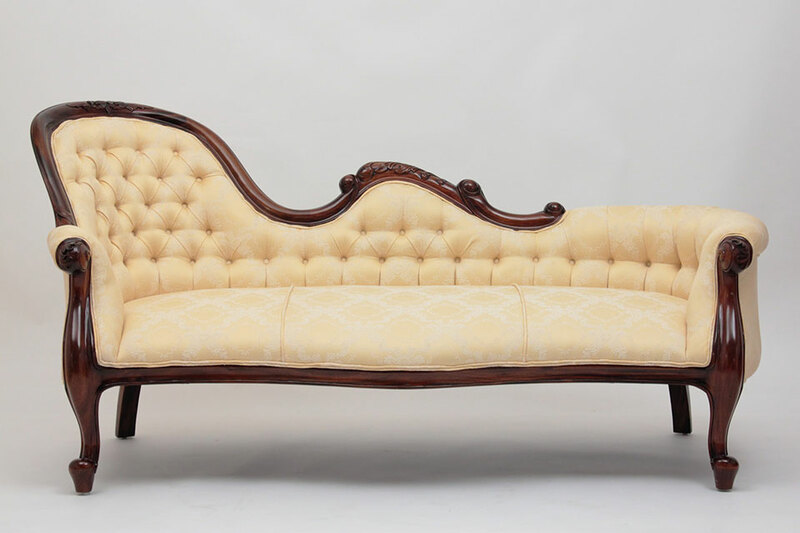 When it comes to beauty and elegance, the Victorian era remains a constant presence in the world of home furnishings. Renowned for the graceful curves and rich tones, Victorian furniture offers a sense of regal beauty capable of elevating the atmosphere of any room. Add sophistication with these exceptional pieces of furniture in the Victorian style. We offer a distinctive selection of 19th century Victorian furniture replicas to add beauty and elegance to your home. Featuring the recognizable English hallmarks of this era, such as the curves, floral embellishments, and textures, each one of our Victorian furniture reproductions offers detailed artistry from our skilled craftsman. Choose from lounge chairs, chaises, and sofas seating up to 3 people, plant stands, dining room tables, end tables, and more with our extensive selection of stunning reproductions of antique Victorian furniture. Every piece has been lovingly made by hand using solid Honduran mahogany. Known for the long-lasting durability and exceptional quality, this type of wood also offers beauty with deep tones and elegant grain patterns. Our upholstered sofas and chairs are made with velvets, damasks, and jacquards; materials that were a popular feature of authentic Victorian-era furniture. From the individual hand carvings, to the hand-tied coil-spring upholstery and the interlocking wooden joinery, our replicas are made with care and attention to detail. Choose from several different fabrics, sizes, color stains, and finishes through our standard and custom order options. Here at Laurel Crown we love custom building unique furniture for our clients. Not only that, but if there is a specific Victorian antique you would like us to reproduce, our team of drafters and builders will make every effort to achieve your dream. Add some old-world beauty to your life with our high-quality Victorian reproductions. At Laurel Crown, we have over 25 years of experience in the creation of antique-inspired reproductions. With a focus on quality construction and attention to detail, we strive to craft replicas evoking the beauty and grace of the past with the durability of new furniture. If you have any questions, we would be pleased to assist you further while shopping with us. Call or order online to see the difference our furniture can make in your home today.